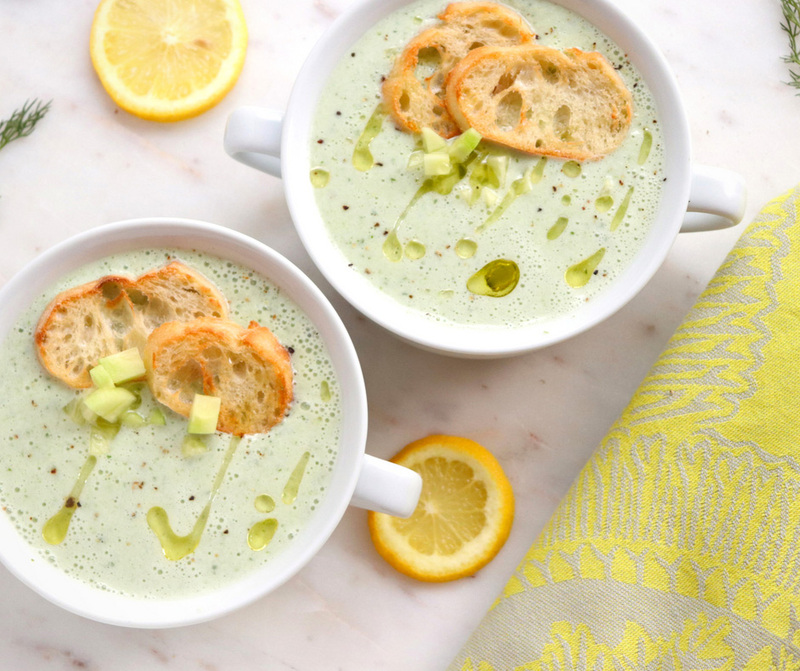 Cucumber blended with probiotic-rich buttermilk creates a refreshing soup for a hot summer day! 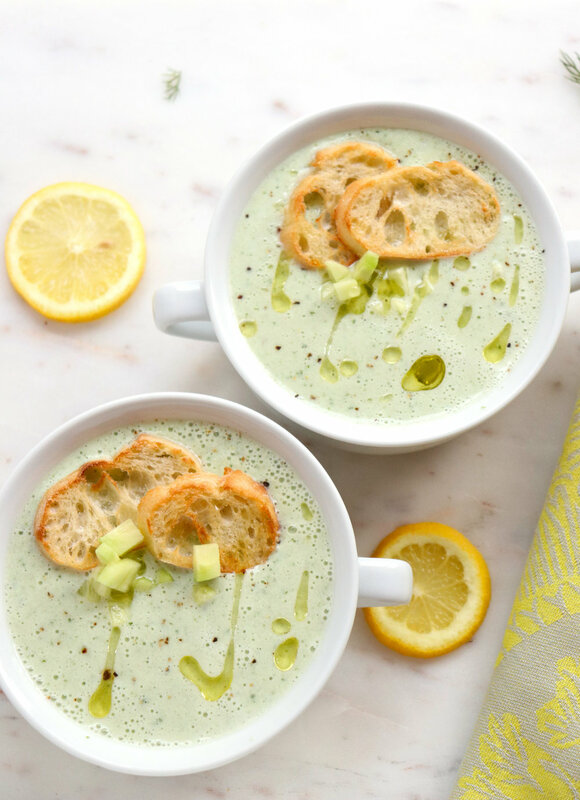 While I don't typically think of soup during the summer months, a cold soup is just the right answer for something light and refreshing when it is 90 degrees outside! One of the few plants we put in our small garden this year was a cucumber plant. We only planted one but it has been quite prolific! I'll see a tiny cucumber one day and the next day it is full grown, ready to be picked. Those cucumbers love to play hide and seek too! My husband and I practically have to lay flat on the ground to see if some are hiding under the plant leaves. We've missed a few and ended up with huge, yellow inedible cucumbers. Animals that eat cucumbers can thank us for the ones we've ended up throwing in the woods behind the house! If I have some red onion and fresh limes around I like to make Cucumber Salad with Lime, Mint and Peanuts (we have mint growing in the garden too). 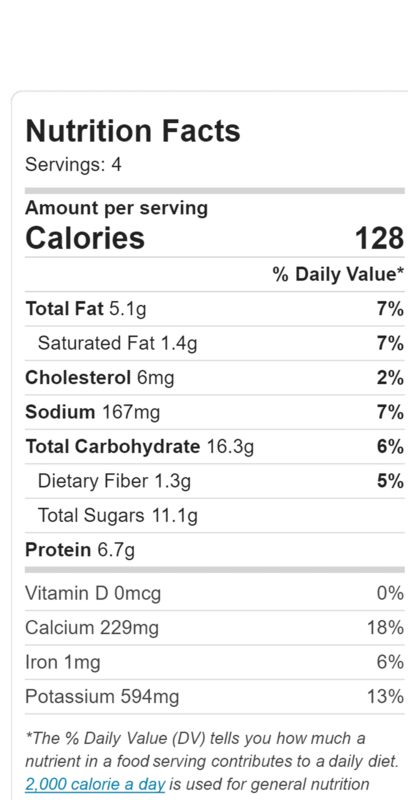 A recent favorite using cucumber is Cranberry Quinoa Tabbouleh Salad. That recipe is great for a cookout or meal prep for lunches. Stars of the show! Cucumbers, lemon and dill. The joy of this recipe is that you just place all the ingredients in a blender, give it a whirl and it's done! While it could be served immediately, I think it is best after it has chilled a few hours in the refrigerator. This time allows the flavors to meld together and deepen. I like to serve it with slices of French bread that have been brushed with olive oil and lightly toasted. Add some fresh ground black pepper, a few chopped cucumber pieces for texture and a drizzle of olive oil and enjoy! This soup is quick and simple, light, healthy and refreshing on a hot day! If desired, peel cucumbers, cut in half and scrape out the seeds with a spoon. Otherwise, chop cucumbers and place in a blender. Add the buttermilk, dill, lemon juice and zest, garlic, salt and pepper to the blender. Process the mixture until smooth. Cover and refrigerate until chilled, at least 1 hour. Pour into bowls, top with additional fresh ground black pepper, chopped cucumber and a drizzle of olive oil. Serve with toast rounds if desired. *If using English cucumbers, salad cucumbers or young cucumbers you do not need to peel or deseed. The peel becomes slightly bitter the larger and older the cucumber.